Our inbound exchange student for 2018-2019 arrived in mid August. 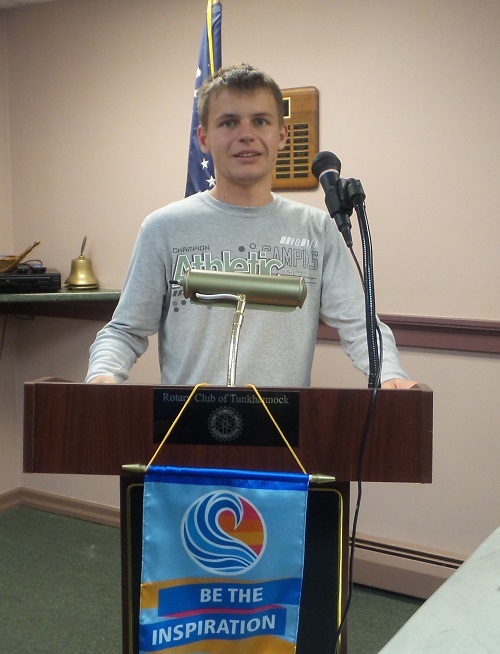 On Friday Sept 7, our two inbound exchange students, Andrzej Swietek (Andrew) from Poland and Joao Guilherme Tonet-Oldoni (John) from Brazil, were introduced to the teachers at Tunkhannock Area High School at a breakfast meeting, with Rotarians Anne Sehne and Ann Way making the introductions and Tunkhannock Rotarians providing donuts for the teachers. 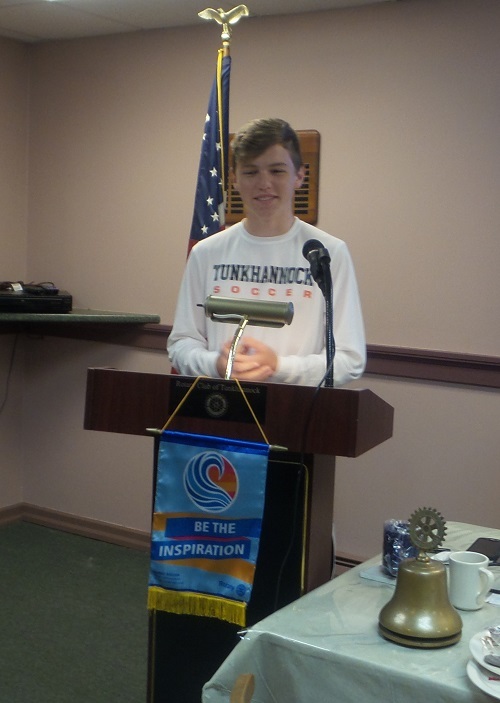 At the Sept 13 Rotary Meeting at Purkey's Pink Apple, the club heard from the 2 inbound exchange students about the classes they are taking at Tunkhannock Area High School.